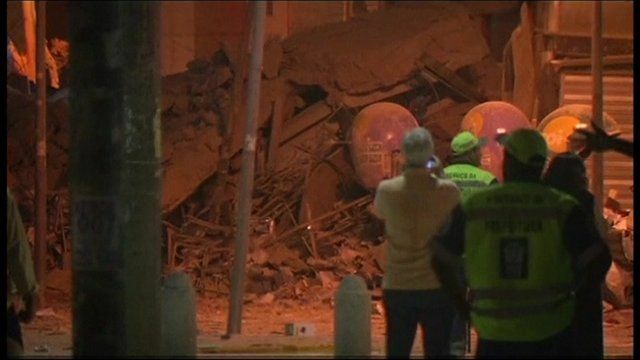 Two buildings, one nearly 20 storeys high, have collapsed in Rio de Janeiro, Brazil, filling streets with masonry and covering cars with debris. TV reports initially suggested two bodies had been recovered and up to 11 people killed but officials say the number of casualties is unknown. Four people have been pulled from the rubble alive, but others are trapped.